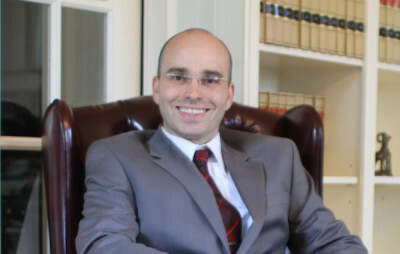 Profile of Elliott Malone, Esq. The best compliment that I can receive is that I am different, especially as an attorney. There are plenty of excellent attorneys, but unfortunately many individuals have the misconception that attorneys are not good people. I will continue doing everything possible to change this misconception. Surely there are bad apples out there, and a major reason behind my decision to attend law school was my personal experience with some of these bad apples, but overall the legal profession is a noble and rewarding one. Attorneys can help make a lasting difference in ways they cannot even imagine. I have been an entrepreneur my entire life, partaking in various business ventures. I have years of business and real estate experience. I also consulted on various projects, including areas of intelligence and security (working with a prior CIA agent as well as former and current FBI agents). In addition to my entrepreneurial experience, my work experience is as diverse as I am. I worked at a shoe factory, painted homes and parked cars as a young adult, while later I held positions at a large law firm, as a financial regulator, and in internal compliance at a large bank, among others. I have always been passionate about the law. This passion and inherent pursuit of justice motivated me to attend law school. I attended the wonderful Benjamin N. Cardozo School of Law and earned concentrations in Litigation (with special training by National Institute for Trial Advocacy, Intensive Trial Advocacy Program) as well as Intellectual Property and Communications Law. While attending law school, I was lucky enough to be granted the highly selective opportunity to be a year-long intern at the Bet Tzedek Legal Services Clinic, which represents elderly and disabled individuals on matters related to government programs, housing, health, disability, family issues and Wills. The real-life experience that I gained working at the clinic was amazing, and the assistance that we were able to provide to those in need was priceless. Among other things, I was also a member of the Journal of International and Comparative Law, a Semi-Finalist in a Moot Court Competition, a finalist in the American Bar Association’s Negotiation Competition, and together with my competition partner won the American Bar Association’s Regional Client Counseling Competition. Further, I was a member of the Cardozo Advocates for Battered Women and participated in the Courtroom Advocates Project, which provides Pro Bono advocacy services for battered women in court. In addition, I was a member of the Public Interest Law Students Association, Business Society, Cyberlaw Society and a leader of the Ski Club as well as a community youth program, Cardozo Youth Advocates, which enabled me to host regular Law Talk sessions for at-risk youths at a NYC youth outreach facility. I have handled many legal matters and successfully argued in front of the New York Supreme Court, Appellate Division, and the New Jersey Superior Court, Appellate Division, as well as other courts. I have also successfully negotiated various settlements, agreements, and real estate transactions. I absolutely love what I do and will not take on a legal matter that I do not believe in. Fortunately for my clients, my pursuit of justice is not driven by financial gains. I often take on Pro Bono matters and surprise adversaries with representation that would typically be provided by highly paid attorneys. Mostly notable was my successful representation of a Holocaust survivor whose pension was unjustly suspended and who had a very negative experience with a prior attorney. Many of my most satisfying cases were handled Pro Bono and I take pride in the fact that I am able to help right wrongs. Although it is against most advice that I received, I take client legal matters personally. I believe that giving is far more important than receiving. I partook in various fundraising efforts and also initiated several related projects. While living in a small town that was in dire need of EMS volunteers, I volunteered at, and was the Vice President of, the Ambulance Corps. I devoted years to working with youth groups and currently serve on the Academies @ Englewood Advisory Council, specifically the Law and Public Safety Advisory Committee. I am also a registered speaker for EndDD.org / Casey Feldman Foundation, a foundation dedicated to offering distracted driving presentations to area high schools to keep our children safe through raising awareness about the dangers of distracted driving. I am an avid fan of motorsports and am well versed in the operation of various mechanical components and consumer goods, making me an optimal attorney for handling consumer fraud, injury, and product liability cases. There are many other things that I am interested in and often it is hard to find something that I am not interested in. I speak English, Hebrew, and Russian and am licensed to practice law in New Jersey and New York. I am a member of the Association of Certified Fraud Examiners. As a final note, I wish for nothing else but to gain your respect, either as your counselor, adversary, or any other way that our paths cross.